There are different types of material used for foundation walls and knowing what type you own is key to monitoring the overall health of your foundation and keeping it in good shape. The most common materials used today for foundation walls are poured concrete and cement block. You will find stone foundations in homes that were built a 100 or more years ago. Poured concrete foundations represent the best option for current homes and are preferred for most new construction. Cement block walls may be used where poured concrete is not readily available such as remote locations where a home is being buit. Poured concrete foundations are better able to resist the pressure from dirt and moisture than cement block walls. Both cement block and poured concrete walls can suffer from problems due to incorrect or poor installation. Cement block walls unless properly water proofed are more likely to allow water to pass through and cause water seepage into a basement. Foundations can develop problems for a number of different reasons. Some of the most common reasons for foundations problems include improper drainage of rain water, installing concrete or cement block walls on unstable or un-compacted soil, improper mixing of the concrete or pouring the concrete without the proper procedures during extreme cold periods. Another possible cause of a foundation problem would be earthmoving construction in a location close to your home that impacts the soils in and around your foundation, sometimes this close by construction causes vibrations that can damage your foundation and loosen the soils around your foundation. Water issues can be by far the biggest foundation issues for homes that have been stable for some time and are now suddenly showing signs of problems. If your gutters cannot handle the rainwater for your area you may want to look into installing larger capacity gutters so the rain water is properly channeled away from the home and not close to the foundation. The added water dumped directly into the soil by the foundation increases the pressure put on the foundation walls and also moistens the soil by the foundation which could result in settling or shifting. Make sure your gutter downspouts are draining away from the home to minimize the amount of water that seeps into the soil close to the foundation. All foundations have a tendency to settle. Due to the weight and the soil/dirt composition around the foundation settling of a couple of inches is common and usually not cause for concern. Often times this type of common settling does result in small cracks visible in the basement floors, foundation walls, and can also be seen in the garage concrete. 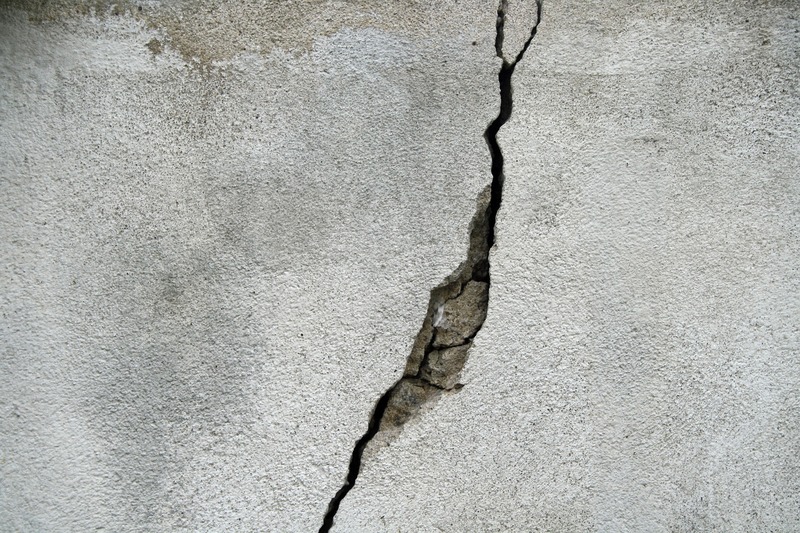 If you happen to see small cracks in and around the above named areas you should take general note of them but do not necessarily need to call in a professional to evaluate if they stay the same over a long period of time. 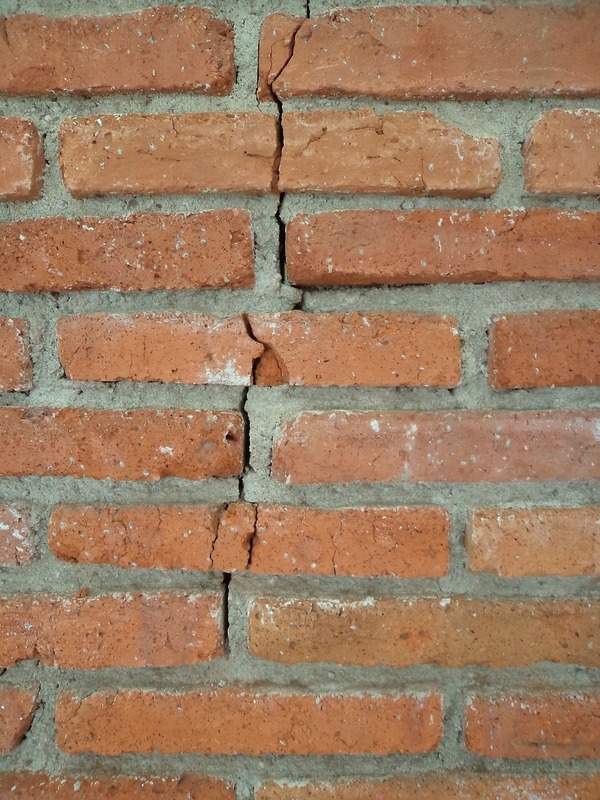 If the settlement cracks begin to widen over time or the basement/foundation walls begin to show signs of leaning or bowing inward then you should definitely have your foundation inspected by a structural engineer. For cement block foundation signs of bowing, stair step cracking, cracked/broken blocks and water seepage through the wall are all signs you should be on the lookout for. Depending on the nature of the damage most homeowner’s insurance policies will not cover foundation repairs. It may be possible to get insurance coverage for foundation repair when the damage to the foundation was a result of some covered natural disaster. So if your home was destroyed by a tornado and the foundation was damaged as well you may be able to get the repair paid for through your insurance company. For most foundations though where the issue is settling or the foundation failing due to poor installation or poor conditions around the foundation you generally will not be able to get insurance to help you to pay for any repairs. As with any insurance policy make sure you read the policy language and ask your insurance agent any questions that you may have to know what is really covered. Prior to calling any foundation contractor to get an estimate for repair you instead should contact a licensed structural engineer. Find a structural engineer whose only job is to provide you an opinion of your foundation and offer a repair design. By using hiring a structural engineer you could end up saving money since their end goal is not to sell you repairs for foundation issues but instead provide you with input on what the issue may be. While all foundation companies are not out to get you that does not mean you won’t find some foundation repair companies who prescribe costly repairs without knowing what is something really wrong with the foundation. A structural engineer will analyze your foundation and give you a report that details the issues and propose/design a repair to help address those foundation issues. By using the engineer’s report you can talk with different foundation repair contractors and ask for work estimates based on the proposed repair solution for your foundation rather than getting different opinions on what is needed with differing estimates. If you are forced to sell your home with the foundation issues currently present then always disclose and price your home accordingly. If foundation issues are discovered during a home inspection the buyer will wonder what else has not been disclosed or what else may be wrong with the home and likely walk away from the purchase. Unrepaired foundation issues being a major factor in the soundness of a home many buyers upon hearing about undisclosed foundation issues will decide to walk away. If the home is priced accordingly and all disclosures are made someone will buy your home and take it upon themselves to fix the issues with the foundation. A failure to disclose known foundation issues can result in a lawsuit once the buyers do discover the problems. If you get sued due to undisclosed foundation issues a court can force you to take back a home and pay back all monies to the buyer and also require you to pay punitive damages for the failure to disclose. Alternatively a court could require you to pay the buyer for the cost to repair any foundation issues as well as order you to pay punitive damages to the buyers as well. Your best bet is to disclose foundation issues to any buyer interested in your home. If you have the means to repair your foundation issues then repairing the issues will work out best in the long run. Buyers knowing that foundation issues have been properly repaired and that even the repairs may be covered by a lifetime warranty are more willing to consider your home. By repairing the foundation issues you also will be able to obtain a better price when selling your home since selling a home as-is with foundation issues will limit the pool of potential buyers to those who are looking for a great deal and understand that foundation issues can be repaired at the right cost. 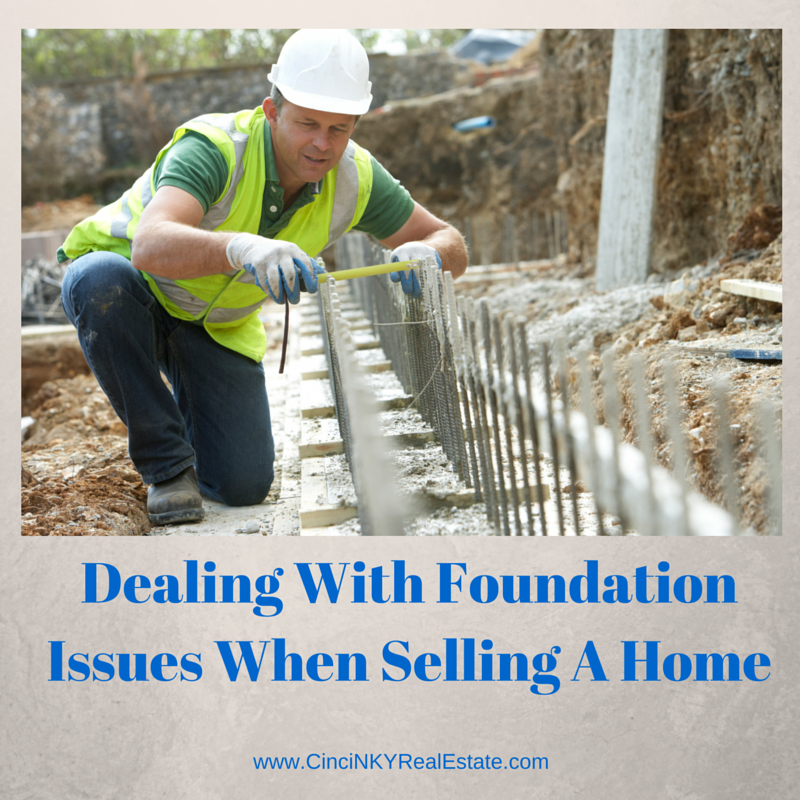 Foundation problems are by no means the end of ones hope to sell a home. If you suspect you may have foundation problems then get a written opinion from a structural engineer as a first step and ask for a repair design. When repair work is done on the foundation having a lifetime transferable warranty will be a big selling point with buyers. If you decide to sell your home with the foundation problem as-is make sure you disclose the condition and price your home accordingly. About the author: The above article “Dealing With Foundation Issues When Selling A Home” was provided by Paul Sian. Paul can be reached at paul.sian@herrealtors.com or by phone at 513-560-8002. With over 10+ years experience, if you’re thinking of selling or buying, I would love to share my marketing knowledge and expertise.